The film's more than 4,366 domestic playdates is a record, surpassing the 4,362 theaters for May 2007's bow of "Pirates of the Caribbean: At World's End." 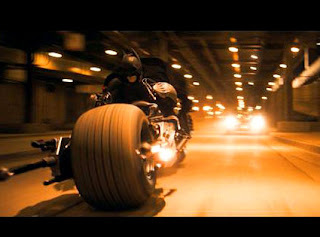 Double- and triple-screening at many venues means "Dark Knight" will play on 9,200 screens in the U.S. and Canada. Its engagements include 94 Imax venues -- Nolan shot long segments using Imax-format cameras -- and most of those giant-screen auditoriums were sold out by midweek. A Warners exec estimated that Imax presales totaled $3.5 million, with advance ticketing for other venues adding considerably to that total. "Dark Knight" also bows in more than a dozen foreign markets this weekend and several more the following frame, but some of the bigger territories won't get the film until August because of calendar-driven marketing considerations in some countries. "Dark Knight" rung up a big first-day estimate of almost $2.3 million Wednesday in Australia, where the territory's usual Thursday bow was moved up one day to take advantage of a final week of school holidays.